Binghamton University has had a big week. 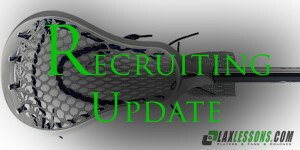 If you have been following along on LaxLessons.com’s “Lacrosse Insider” section, you already know that the Bearcats doubled their number of Class of 2015 commits to four. The latest verbal came from Mike Perotto, a strong position defender from the Aquinas Institute of Rochester (N.Y.), whose commitment was first reported when it was made by Joe Lombardi. The 5-foot-10, 180-pound Perotto is a right-hander with good speed, footwork and stick skills who is effective in getting groundballs. Mainly the academics, but also the amazing feel I had at Binghamton. Cornell, Yale, Bucknell, Rutgers and Fairfield. I visited all except Rutgers. Footwork, foot speed, strength,very vocal, groundballs, being a leader and having great stick skills. I would describe myself as a positional defenseman that will not get beat one on one. I need to keep improving my speed, strength, all-around game, and also work on timing my checks for more precise takeaways. I was introduced to lacrosse by my father in fourth grade. He never played but thought I’d be great at it. I have also played football but stopped because lacrosse is now a year-round sport. Sweetlax. The showcases I participated in were Maverik Showtime and Jake Reed’s Nike Blue Chip two years in a row making the Maverik all-star team in 2012. I also played for the Nike upstate rising team and played for FCA U15 nationals in Orlando and Tampa. My mom and dad, brother, grandparents, extended family, strength trainer Jim Belucco, and any coach that has coached me through the years.